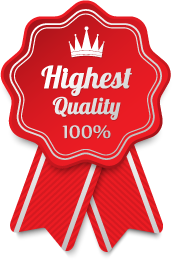 Yorkville Carpet Care was established in 1992 to fill a need for residential and commercial clients looking for superior carpet, upholstery and window treatment care in Toronto by using environmentally safe and effective dry methods. All of our cleaning systems are safe for children and pets, require very little drying time, and are recommended by all major carpet mills, quality furniture craftsmen, and high-end window treatment companies such as Hunter Douglas™. Certified by Hunter Douglas to clean their blinds, shades and other window treatments with guaranteed results. Everyday life, kids, pets and entertaining take their toll on carpets, and regular vacuuming cannot remove all of that dirt. Need more than just your carpets and rugs cleaned? We safely clean chairs, sofas, love seats, mattresses and much more. We use the HOST dry extraction system, recommended by carpet manufacturers and fibre producers worldwide. I guarantee that you will not find a more committed group of professionals.